Hydrological Sciences is a part of Hydrospheric and Biospheric Sciences located at NASA's Goddard Space Flight Center in Greenbelt, Maryland. Water is critical to sustaining life on Earth. Hydrological Sciences of the NASA Goddard Space Flight Center recognizes the primary role of water in the Earth system and seeks to advance hydrological science and applications from local to global scales. Key missions supported include The Soil Moisture Active and Passive (SMAP) Mission, The Global Precipitation Measurement (GPM) Mission, The Gravity Recovery and Climate Experiment (GRACE), The Ice, Cloud, and land Elevation Satellite-2 (ICESat-2), and The Surface Water Ocean Topography (SWOT) mission, in addition to instrument science and algorithm team roles in the Joint Polar Satellite System (JPSS) and the Defense Weather Satellite System (DWSS). SLAP installed on the bottom of the NASA Langley King Air UC-12B during its first instrument check flight in 2013. 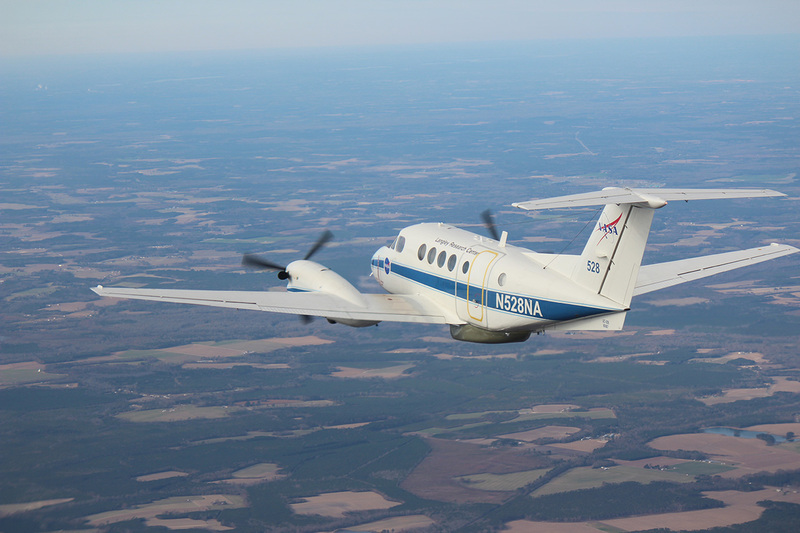 SLAP installed on the bottom of the NASA Langley King Air UC-12B during its first instrument check flight in 2013, flying over fields in Southeastern Virginia. 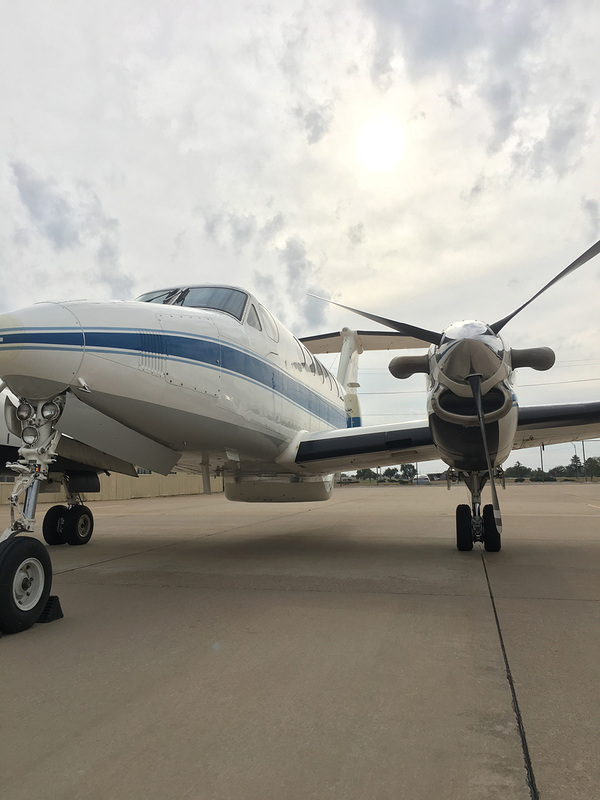 SLAP installed on the NASA Langley King Air B200, coflying with the SoOp-AD project in Lawton, Oklahoma. 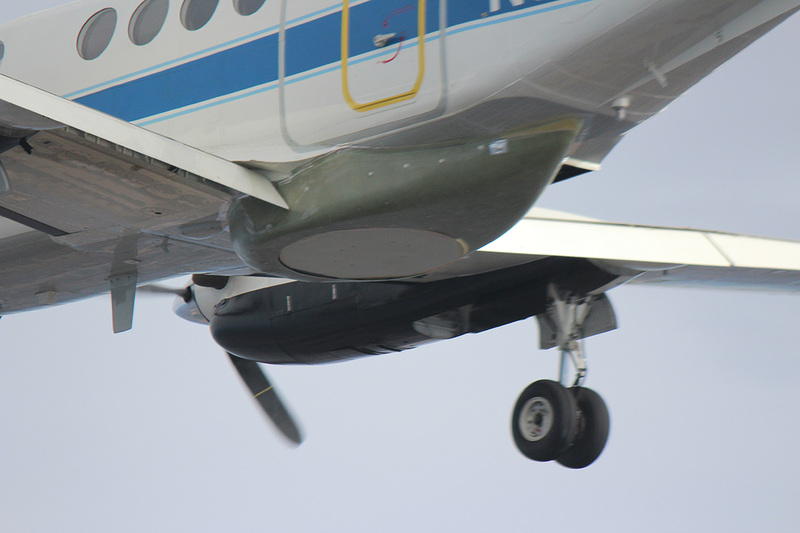 Close-up view of SLAP installed on the bottom of the NASA Langley King Air UC-12B during its first instrument check flight in 2013. 10/30/2015. 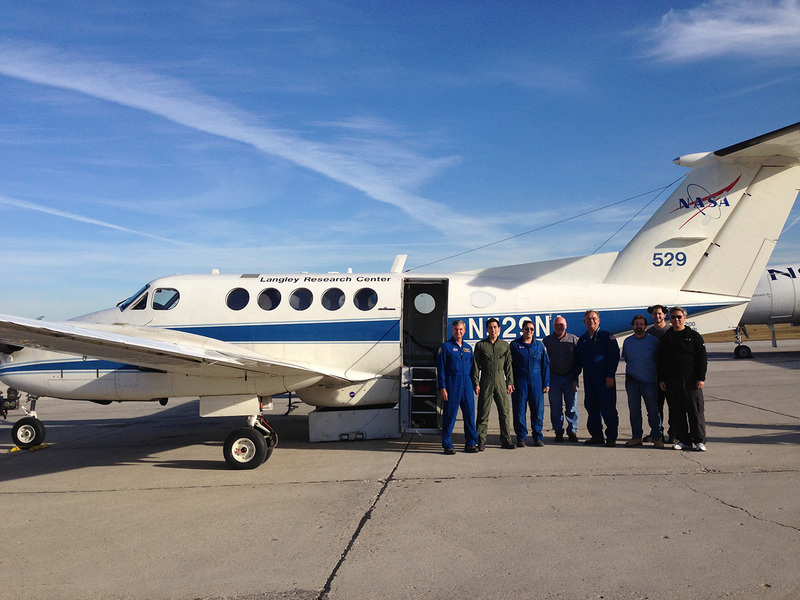 Goddard's SLAP on the NASA Langley King Air preparing to depart on the first flight of SLAPex freeze/thaw in Winnipeg, Manitoba, Canada. 10/30/2015. Eugenia De Marco and Albert Wu pre-flighting SLAP. 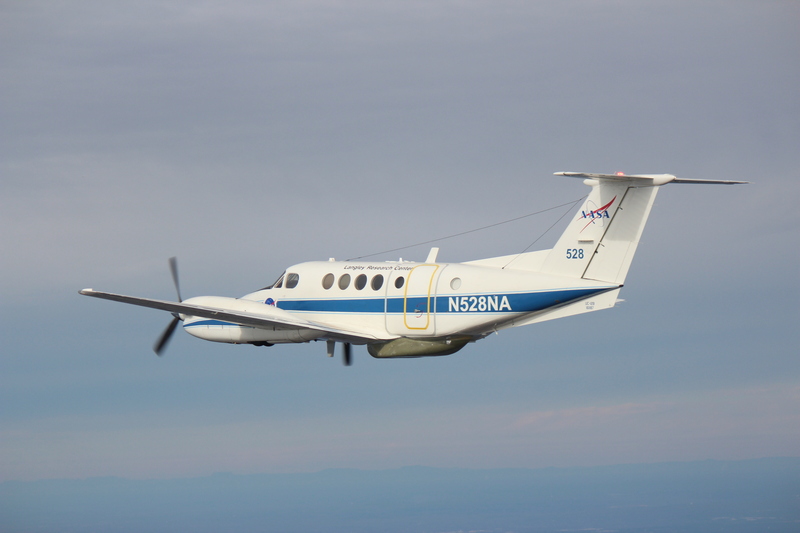 NASA Langley's King Air aircraft preparing to fly the Scanning L-band Active Passive (SLAP) instrument. SLAP was developed in the HSL at NASA Goddard by a small team led by HSL scientist Ed Kim. 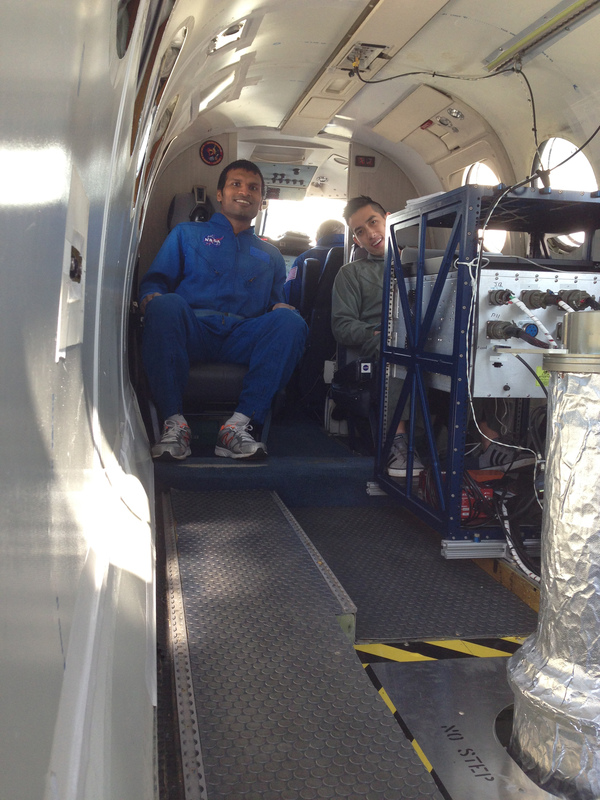 Happy SLAPpers: SLAP team members Hemanshu Patel (L) and Albert Wu (R) check out the SLAP instrument aboard NASA Langley's King Air aircraft prior to a flight Feb 12, 2015. 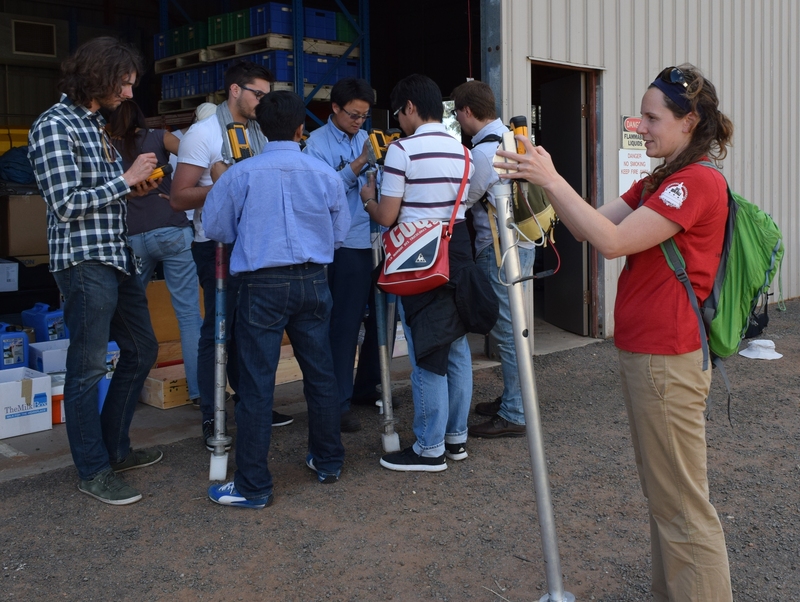 Team member Tammy Faulkner (not visible in this view) is checking the calibration target under the aircraft. SLAP is an airborne simulator for NASA's flagship SMAP satellite that was launched at the end of January, 2015. Our Science Highlights are published monthly to our web site. Each report is fully viewable online as JPG files. The PowerPoint files are also archived and freely available for download.